"The Launch follows the story behind the race to perform the first live music show from space....."
"Voici quelques exercices pour permettre la création de "mots référents" au sein de la classe. Une série de 18 "matching exercises" entre sons, symboles, phonétiques, images, ..."
Une classe "sans notes"… ou comment s’interroger sur la notion de REUSSITE à l’école. "Le bulletin trimestriel de cette classe est téléchargeable au format .pdf à la fin de l'article." "En complément de ces documentations, vous pouvez visionner des tutoriels vidéo. Pour échanger autour de SACoche, vous disposez d'une liste de discussion et de forums." "J'ai rédigé et adapté les référentiels CECR du niveau A1 au niveau C2. Il est possible de les télécharger après avoir préalablement installé SACoche. SACoche est un ensemble logiciel destiné au suivi des acquisitions de compétences. Il s'utilise via une interface web, accessible depuis tout navigateur moderne. Il n'y a rien à installer sur l'ordinateur de l'utilisateur, qu'il soit professeur, élève ou parent. - sur son propre serveur. Quatre académies ont leur serveur : Versailles, Bordeaux, Montpellier, la Martinique. Le serveur Sésamath gère déjà 1282 structures : si votre établissement est déjà inscrit, il n'y a qu'à utiliser le serveur existant. Seule précaution : faire des sauvegardes régulières. Pour une installation indépendante, il suffit d'avoir un serveur Apache + php + MySQL, avec un accès aux droits des dossiers. Pour un accès depuis internet et le réseau pédagogique, un serveur dans la DMZ du pare-feu est tout indiqué (par exemple un serveur Scribe dans la DMZ d'une passerelle Amon). Pour des tests sur son ordinateur personnel, il est facile d'installer un serveur web avec les paquets Xampp (www.apachefriends.org/fr/xampp.html). L'*administrateur* va effectuer les réglages pour l'utilisation du logiciel : matières, niveaux, utilisateurs, paramétrages. l'administrateur doit procéder à l'identification de l'établissement dans la base Sésamath. Si votre structure ne figure pas dans la base, vous pouvez demander son ajout en communiquant un maximum d'informations la concernant. Les *référentiels* sont gérés par les *professeurs coordonnateurs*. Pour créer un nouveau référentiel, soit on part d'une feuille blanche, soit on récupère un référentiel dans la base communautaire (à condition d'avoir inscrit son installation), et on l'adapte à son gré. Ce sont également les professeurs coordonnateurs qui vont régler les paramètres des référentiels. Les *évaluations* sont gérées par les professeurs. En pratique, on associe un ensemble d'items du référentiel à une évaluation, et lors de la correction ces items peuvent être évalués à quatre niveaux. Je remercie vivement Yan Naessens pour son aide logistique précieuse et pour sa bienveillance. Tout comme d'autres acteurs-qui se reconnaitront- qui, par leur soutien, ont contribué à la mise en place de ces référentiels." 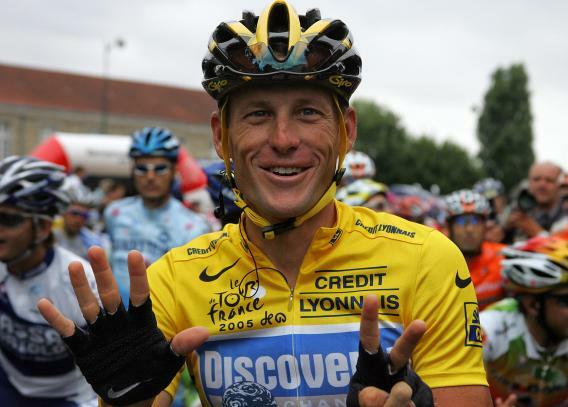 "Lance Armstrong has been stripped of his seven Tour de France titles and given a lifetime ban by the United States Anti-Doping Agency (USADA). The US cyclist opted not to contest USADA drugs charges, saying he is tired of fighting the allegations. He strongly denies doping..."
the circumstances of the killing, and many more variables. Click on a few sample searches to the right. Or watch a short video showing you how to use this app..."
"A shift is taking place at the intersection of education and technology." "Nouveau parcours grammatical d'activités et d'exercices sur internet, dont le but est d'apprendre à former le pluriel des noms." The Games will officially be opened by Her Majesty Queen Elizabeth II." "Thousands of people cheered the Notting Hill Carnival's colourful procession through the sunny streets to the beat of steel drums and sound systems." polygamy, Imperialism, tariffs, Chinese immigration, Prohibition, suffrage, wars, welfare and other hot topics of the day..."
from the FBI to the Federal Emergency Management Agency to the U.S. Coast Guard..."
to the play in other places, times, and mediums." revealed through more than 450 portraits of schoolchildren from 20 countries." What do you want to CREATE today ? "Joel Tenenbaum must pay $675,000 (£426,000) in damages awarded to the major US music labels after his request for a retrial was turned down. Mr Tenenbaum, 25, was found guilty of illegally downloading and distributing 31 songs in 2007." "Americans are wasteful when it comes to food, according to the Natural Resources Defense Council. It released a study that says the 40 per cent of uneaten food equates to around $165 billion a year." "Objectif: 1ère prise de contact avec accentuation sur la personnalité et les degrés de personnalité." - fréquence, habitudes alimentaires, les «meilleurs conseils»). "is an upcoming 2012 American action thriller film about the special operations forces mission to capture or kill Osama bin Laden. another military action thriller that won the Academy Award for Best Picture and five other Oscars in 2009." "To familiarize students with the marketing techniques used in television and magazine snack food ads." "Students will learn: 1. Different types of persuasive techniques used in advertising 2. How to be persuasive"
"Understanding persuasive techniques can help you evaluate the messages that surround you and identify misleading information." - with "examples of seven different types of propaganda in print publications and in broadcast operations." More than 32,000 people died on the US's roads in 2011 due to crashes." "Prince Harry is stepping up his royal responsibilities as the third in line to the throne, but continues to have colourful incidents in his private life." - with an infographic : Are we alone ? "The video appears to show workers bungling the slaughter of cows struggling to walk and even stand. The suspensions by the U.S. Department of Agriculture and the fast-food chain came after an animal welfare group’s video shot at a slaughterhouse operated by Central Valley Meat Co. showed cows that appeared to be sick or lame being beaten, kicked, shot and shocked in an attempt to get them to walk to slaughter." "is the United States federal executive department responsible for developing and executing U.S. federal government policy on farming,agriculture, and food. foster rural communities and end hunger in the United States and abroad. The head of the department is the Secretary of Agriculture, who is a member of the Cabinet." "True Romance is a 1993 American romantic crime film written by Quentin Tarantino and directed by Tony Scott. Brad Pitt, Christopher Walken, Chris Penn, and Tom Sizemore." "- Tell me - Tell me about yourself. who's your favorite movie star, what kind of music do you like, ..."
"This year's list features a host of entertainers, political leaders, and even controversial figures. TIME MAGAZINE'S 100 PEOPLE 2012"
See the list below the video on YouTube. to illustrate the changing face of the language from medieval times. 'chillax', a recent introduction combining chill and relax." "A politician and a radio star were among those who came together to protest against a lack on toilets at an Adelaide beach. The artist who organised the human installation, Andrew Baines, said he was trying to take the issue to the wider community..."
"Protesters dressed in bowler hats and black suits stage a sit in on toilets an Adelaide beach, protesting the public facilities in the area." based on the Marvel Comicssuperhero team of the same name. It is the sixth installment in the Marvel Cinematic Universe. The film is scripted and directed by Joss Whedon ..."
Crimson Tide, Enemy of the State, Spy Game, Man on Fire, Déjà Vu, The Taking of Pelham 123 and Unstoppable. He was the younger brother of fellow film director Ridley Scott... He committed suicide in Los Angeles on 19 August 2012." "Australia's highest court has upheld a new government law on mandatory packaging for cigarettes that removes brand colours and logos from packaging. The law requires cigarettes to be sold in olive green packets, with graphic images warning of the consequences of smoking...."
"Australia's high court rules in favor of tough anti-tobacco marketing laws that could affect tobacco companies around the world. Julie Noce reports." Cartoon: What did we do before the Olympics? which many people in Britain are suffering from. for everyone in Britain after two weeks of sporting heaven. everyday actions to Olympic events (see here for list)...."
"Accommodation is part of the package for someone with "clear communication skills" and "an ability to deploy tact and diplomacy when necessary". BBC Breakfast has been finding out what it takes to be a Royal chauffeur." Hover over the states. Most of the terms are about what we’ll call “culture,” or about the weather. Politics and economics also figure prominently."